Tick Tock the time has come to release our Brand NEW Clock Photography Prop. This Clock is the Original and only Clock Prop. What a Unique way to capture those first moments. 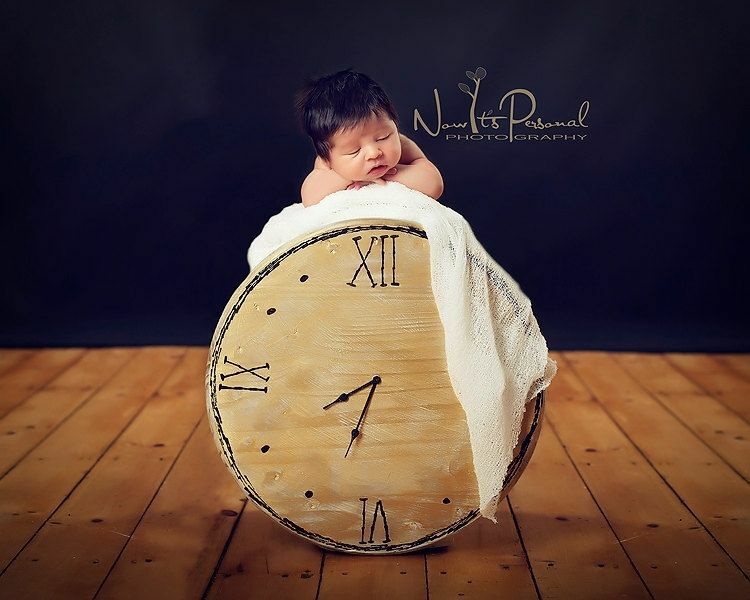 This Clock has movable arms to really make your Newborn Photos special. How nice having Photos that uniquely display your little angels Birth Time. This Clock is extremly Solid and Sturdy made of solid wood. I can customize this clock in any color you would like or have the numbers added in any style you would like. All my products come fully assembled, painted, and ready to use. Thanks so much to Tanya @ Now It's Personal Photography for her amazing Photo!! I ship all my products worldwide so if you are outside the US send me your full mailing address for a shipping quote.